Οffer a great feeling of stability, without restricting your mobility. SofTec® Genu offer a great feeling of stability, without restricting your mobility. Every movement also activates the massaging nodules on the built-in knee pad. These massage the surrounding tissue and so speed up the healing process.The"intelligent" side joints adjust automatically to your personal axis of rotation. 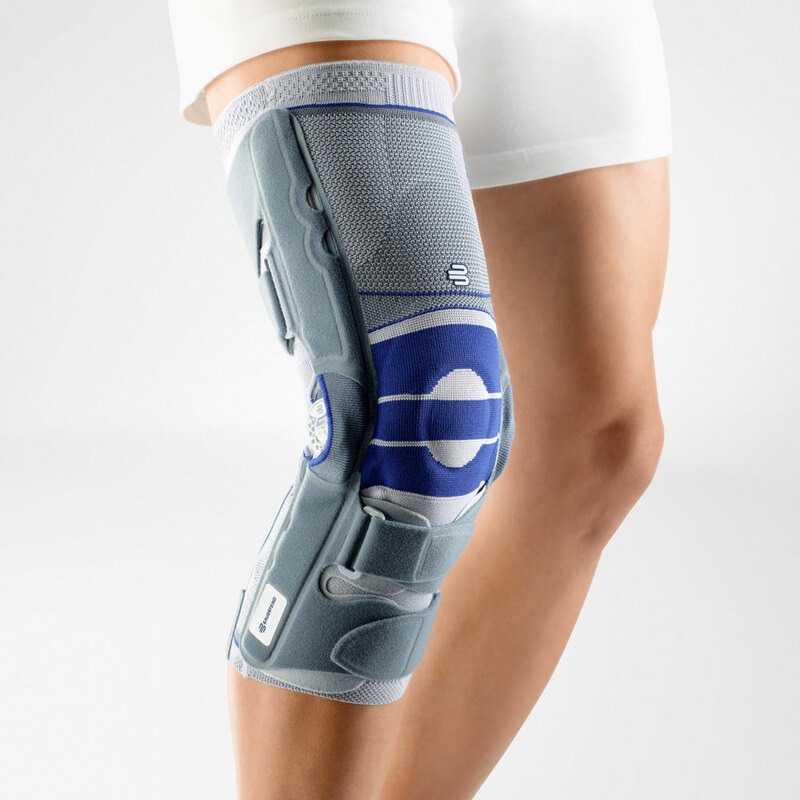 This reduces strain on the knee and means that the orthosis follows every non-damaging movement you make. Indications: Isolated rupture of the anterior cruciate ligament up to and including the "unhappy triad": Conservative treatment, Pre-operative and postoperative management, Long-term rehabilitation – sports therapy, Chronic insufficiency, Conservative functional treatment of collateral ligament injuries, Treatment of "unstable knee joint": Severe osteoarthritis of the knee, Rheumatoid arthritis – progressive rheumatoid arthritis, Endoprosthesis – secondary rehabilitation, Post-traumatic, Restricting the knee’s range of movement (e.g. after meniscal suturing or meniscal implantation). Circumference 1 (knee circumference): 1 (29-32cm), 2 (32-35cm), 3 (35-38cm), 4 (38-41cm), 5 (41-44cm), 6 (44-47cm). Circumference 2 (calf circumference 15 cm below the knee): 1 (28-32cm), 2 (31-35cm), 3 (34-38cm), 4 (36-40cm), 5 (39-43cm), 6 (42-46cm). Circumference 3 (Thigh circumference 17 cm above the knee): 1 (38-42cm), 2 (41-45cm), 3 (44-49cm), 4 (48-53cm), 5 (51-57cm), 6 (54-60cm).